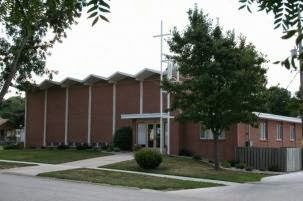 Welcome to the Trinity Lutheran Church website. We hope this site will help you learn more about us and our witness for Christ. Our congregation is a thriving community of believers, and a familiy of brothers and sisters in Christ. For over 125 years the Holy Spirit has called his children, enlightened them with His gifts, sanctified and kept them in the one true faith of our Lord Jesus Christ right here at Trinity Lutheran Church. Each week through Word and Sacrament we are renewed by the love of God in Christ Jesus. We, with all the Church, eagerly await Christ's return and the resurrection to eternal life which He has promised. We hope you will join us for service on Sunday to hear this Gospel for yourself and receive the forgiveness of your sins, life and salvation, through Jesus Christ, our LORD. Come see a slideshow of our wonderful community, and get a glimpse of some of the many activities that take place at Trinity Lutheran Church.